The Dow was up 0.11% as positive news from Boeing boosted the index, the Federal Aviation Administration said that the software update to the 737 Max aircraft is "operationally suitable". The S&P increased marginally by 0.05% whilst the Nasdaq gained 0.3%. Netflix shares have dropped 1% after its earnings report yesterday, after announcing a weaker than expected guidance for Q2 as well as its CMO, Kelly Bennett, announcing her retirement this year. Although, Q1 earnings per share were 76 cents beating analysts expectations of 57 cents and revenue came in at $4.52 billion. China announced that Q1 GDP grew by 6.4%, beating analyst expectations by .1% according to a recent Reuters poll. The positive data caused fluctuations in the Asian market, with the Shanghai Composite gaining 0.4% and the Topix 0.3%. The ASX dropped 0.4% whilst the Kospi remaining unchanged in what was a mixed session for Asian equities. US Crude futures advanced 1.78%, erasing the previous sessions losses, mirrored by Brent Crude futures which also jumped 1.27%. Gold edged 0.1% higher to $1,278.69 per troy ounce. Asian overnight: GDP data from China gave markets a lift overnight, as the Chinese economy grew 6.4%, ahead of the 6.3% forecasted by economists. Chinese equities have continued their strong performance, although the open in Europe is expected to be relatively flat. Netflix stock dropped after earnings were released yesterday, and a weak forecast for the second quarter saw the stock drop sharply. UK, US and Europe: UK CPI, eurozone inflation, the US and Canadian trade balances and oil inventories dominate the calendar today, while Morgan Stanley and Alcoa are expected to publish earnings. Oil prices hit a new high for the year yesterday, as expectations of stronger global demand outweigh the prospect of an increase in supply from OPEC and Russia. Economic calendar - key events and forecast (times in GMT) Source: Daily FX Economic Calendar 9.30am – UK CPI (March): prices to rise 1.8% YoY and 0.2% MoM, from 1.9% and 0.5% respectively. Core CPI to rise 1.9% YoY from 1.8%. Markets to watch: GBP crosses 10am – eurozone inflation (March):CPI to rise 0.3% MoM and 1.4% YoY. Markets to watch: EUR crosses 1.30pm – US trade balance (February): deficit to widen to $53.7 billion. Markets to watch: USD crosses 1.30pm – Canada CPI (March), trade balance (February): CPI to rise 1.4% YoY from 1.5%, and trade deficit to narrow C$3.5 billion. Markets to watch: CAD crosses 3.30pm – US EIA crude inventories (w/e 12 April): stockpiles to rise by 7.3 million barrels from 7.02 million a week earlier. Markets to watch: Brent, WTI Corporate News, Upgrades and Downgrades Bunzl reported a 4% rise in growth for Q1 at actual exchange rates, but the firm said that growth slowed in the quarter due to mixed economic and market conditions. Johnson & Johnson reported adjusted earnings in Q1 at $2.10 per share, beating expectations of $2.03. Sales also grew to $20.02bn compared to $20.01bn in the previous year. However, profits were down 14% due to increasing legal costs due to the company fighting lawsuits over its products Xarelto and Talc baby powder. BHP Group said that iron ore production for 2019 would be lower due to the impact of Cyclone Veronica last month, with a fall of 6-8 million tonnes expected. Segro has secured £21.2 million of new headline rent in Q1, but this was down from the £27.3 million of a year earlier. The vacancy rate as fallen to 4.4% since the end of December. Mediclinic said that it expects to report a fall in earnings of around 3.5% for the full year, due to a difficult environment for healthcare. Ackermans upgraded to buy at Kepler Cheuvreux Repsol Upgraded to Hold at Jefferies Brenntag upgraded to buy at Berenberg Demant upgraded to equal-weight at Morgan Stanley Caverion downgraded to reduce at Inderes GTT downgraded to hold at SocGen Nixu downgraded to reduce at Inderes Valmet downgraded to sell at Berenber IGTV featured video Information has been prepared by IG, a trading name of IG Markets Limited. In addition to the disclaimer below, the material on this page does not contain a record of our trading prices, or an offer of, or solicitation for, a transaction in any financial instrument. IG accepts no responsibility for any use that may be made of these comments and for any consequences that result. No representation or warranty is given as to the accuracy or completeness of this information. Consequently any person acting on it does so entirely at their own risk. Any research provided does not have regard to the specific investment objectives, financial situation and needs of any specific person who may receive it. It has not been prepared in accordance with legal requirements designed to promote the independence of investment research and as such is considered to be a marketing communication. Although we are not specifically constrained from dealing ahead of our recommendations we do not seek to take advantage of them before they are provided to our clients. See full non-independent research disclaimer and quarterly summary. Uber has officially filed paperwork for the company's imminent IPO after observing rival Lyft's share price surge on opening only to fall below its IPO price later on. The ride-hailing company will be listed under the ticker "UBER" on the New York Stock Exchange. You can see how you can trade Uber's upcoming IPO on the IG website here. It was a muted day for US equities on Thursday as the major indices remained little changed ahead of JP Morgan and Wells Fargo earnings announcements later today. The S&P saw a slight decrease yesterday closing 2.62 points lower followed by the Dow which also fell marginally, down 16.5 points. The Nasdaq also fell 0.33%, or 25 points. Asian shares mirrored performance in the US as equities were relatively unchanged ahead of corporate earnings today. The biggest mover was the ASX index which rose 0.9% due to impending cost cuts at Australia's biggest bank. Both the Hang Seng and the Shanghai Composite dropped by 0.5% whereas the Topix marginally fell by 0.1%. Brent crude was up 0.28% to $71.03 per barrel whilst US crude increased 0.35% to $63.80. Gold remained unchanged at $1,292.50 per troy ounce. Asian overnight: Chinese trade data was the key event for Asian markets overnight, with exports rising 14.2% in March compared to a drop of almost a fifth in February. However the data also showed another sharp drop in imports, down 7.6%. Overall Asian markets were lower, but the ASX 200 managed a 0.7% gain. UK, US and Europe: Today sees the start of Q1 earnings season in the US, with JPMorgan kicking off the reporting period along with Wells Fargo. Earnings are expected to decline in the first quarter, the first annual decline since Q2 2016. Investors will be watching keenly for the banks’ views on the outlook for the coming months. Aside from this it is a quieter day, with just the preliminary Michigan confidence reading out later. South Africa: The Jse Allshare Index looks set to open marginally lower this morning following a soft close in US equity markets overnight and weaker Asian equities this morning. Chinese trade balance data showed dollar denominated exports rose by more than double that of consensus estimates, although imports were significantly lower than what expectations had predicted. It is an otherwise light day in terms of scheduled economic data. The dollar has renewed some short term strength to see the rand back above the R14/$ mark and and metal prices mostly lower. Tencent Holding trades marginally lower in Asia this morning suggestive of a similar start for major holding company Naspers. The BHP Group trades flat on the day in Australia, suggestive of a similar start for local diversified resource counters. Economic calendar - key events and forecast (times in GMT) Source: Daily FX Economic Calendar 3pm – US Michigan confidence index (April, preliminary): sentiment expected to edge down to 97 from 98.4. Markets to watch: US indices, USD crosses Corporate News, Upgrades and Downgrades Bonmarché has indicated to shareholders that Philip Day's takeover offer undervalues the company heavily and that further discussions are needed to "discuss the future plans for the business for the benefits of all stakeholders". Games Workshop expects pre-tax profits to come in ahead of last year, thanks to higher sales and royalties. Pre-tax profit for the full year is expected to be £90 million, compared to £74.5 million a year earlier. National Express has bought a 60% stake in US firm WeDriveU for $84.3 million. The firm transports 7 million passengers each year through its shuttle services to companies in Silicon Valley. Provident Financial said that it was ‘gravely concerned’ by the lack of response from Non-Standard Finance relating to the questions asked ten days ago by Provident regarding NSF’s bid. Eutelsat upgraded to buy at Berenberg Odfjell upgraded to buy at SEB Equities Tessi upgraded to hold at Kepler Cheuvreux ERG downgraded to add at AlphaValue Micro Focus Downgraded to Equal-weight at Barclays Topdanmark downgraded to sell at SEB Equitie IGTV featured video Information has been prepared by IG, a trading name of IG Markets Limited. In addition to the disclaimer below, the material on this page does not contain a record of our trading prices, or an offer of, or solicitation for, a transaction in any financial instrument. IG accepts no responsibility for any use that may be made of these comments and for any consequences that result. No representation or warranty is given as to the accuracy or completeness of this information. Consequently any person acting on it does so entirely at their own risk. Any research provided does not have regard to the specific investment objectives, financial situation and needs of any specific person who may receive it. It has not been prepared in accordance with legal requirements designed to promote the independence of investment research and as such is considered to be a marketing communication. Although we are not specifically constrained from dealing ahead of our recommendations we do not seek to take advantage of them before they are provided to our clients. See full non-independent research disclaimer and quarterly summary. The Office of the United States Trade Representative has posted a list of goods that the US is considering to impose tariffs on from the EU, which includes aircraft, motorbikes, cheese and wine. The tariffs on some $11bn products from the EU is in response to the subsidies the bloc gives to Boeing's rival Airbus, which has caused "adverse effects to the Unites States". US equities had a mixed session on Monday coming of the back of a strong growth last week. Both the S&P and Nasdaq edged marginally higher, increasing by 0.1% and 0.2% respectively. However, the Dow dropped 0.26% led by a 5% decline in disaster-struck airline Boeing and a downgrade in General Electric by JP Morgan which caused a 5% decline. Hong Kong's Hang Seng and the Shanghai Composite both rose by 0.3% in what was a mixed session for Asian stocks. Japan's Topix fell off 0.2% whilst the ASX index saw little movement, advancing just 12 points. Theresa May is set to meet Emmanuel Macron and Angela Merkel today to hold Brexit talks on securing an extension to the 30th of June for Brexit. There will be an emergency EU summit on Wednesday whereby all EU members will vote on the proposed delay to Brexit. Oil prices reached new 2019 highs yesterday due to a rise in Libyan conflict. Brent crude futures rose 1.1% to $71.10 per barrel whilst US crude futures advances 2.1% to $64.40 per barrel. Gold futures edged 0.26% higher to close at $1303.3 per troy ounce. Asian overnight: A mixed affair overnight saw marginal gains in China and Hong Kong counteracted by weakness in Japan and Australia. Continued fighting in Libya sent crude higher once again, with Tripoli airport coming under attack. UK, US and Europe: Meanwhile the pound rose slightly, as markets look ahead to a series of key Brexit meetings. Today sees Theresa May meeting both Merkel and Macron ahead of tomorrow's key EU27 summit where they will consider the UK request for an extension to article 50 until the end of June. South Africa: In another calendar light of scheduled economic data, global equity markets trade mixed, with moves marginal today. In turn we are expecting a flat open on our local bourse this morning. Oil prices trade at yearly highs despite news of a sharp increase in the number of US oil rigs. Escalating tensions in Libya, a major OPEC oil producer is providing some of the cause for the recent rise in oil. Metal prices trade flat to marginally lower today. The rand remains firm, albeit slightly off its best levels of the last few weeks. Tencent is up 0.4% in Asia, suggestive of a positive start for major holding company Naspers. The BHP Group is up 0.3% in Australia, suggestive of a positive start for local resource counters. Economic calendar - key events and forecast (times in GMT) Source: Daily FX Economic Calendar U.S. banks begin to report Q1 earnings today, starting with Wells Fargo and JP Morgan. 8pm - Israeli election results are expected to start coming in Corporate News, Upgrades and Downgrades Sports Direct has increased its equity issuance offer for Debenhams to £200 million, while it continues to consider a formal takeover for the company at 5p per share. Anglo American said that the value of rough diamond sales at its De Beers unit had risen to $575 million in the third cycle of 2019, from $469 million. Australian casino giant Crown Resorts is considering a takeover bid for US gambling company Wynn as the company wrote in a statement "Crown confirms that it is in confidential discussions with Wynn regarding a potential change of control transaction following approaches to Crown by Wynn". The takeover is estimated to cost Crown $7.1bn. Train model maker Hornby has seen revenue fall for the year against last year due to "shortage of stock" the company said in it's trading update. Although, the company added that underlying margins have improved and overhead costs have reduced. Cancom upgraded to buy at Berenberg ProSieben upgraded to outperform at Macquarie Randstad upgraded to overweight at Morgan Stanley Go-Ahead downgraded to hold at HSBC Hays cut to equal-weight at Morgan Stanley Pennon downgraded to neutral at JPMorgan Severn Trent downgraded to neutral at JPMorga IGTV featured video Information has been prepared by IG, a trading name of IG Markets Limited. In addition to the disclaimer below, the material on this page does not contain a record of our trading prices, or an offer of, or solicitation for, a transaction in any financial instrument. IG accepts no responsibility for any use that may be made of these comments and for any consequences that result. No representation or warranty is given as to the accuracy or completeness of this information. Consequently any person acting on it does so entirely at their own risk. Any research provided does not have regard to the specific investment objectives, financial situation and needs of any specific person who may receive it. It has not been prepared in accordance with legal requirements designed to promote the independence of investment research and as such is considered to be a marketing communication. Although we are not specifically constrained from dealing ahead of our recommendations we do not seek to take advantage of them before they are provided to our clients. See full non-independent research disclaimer and quarterly summary. Lyft, the most recent high profile IPO, shares have seen huge trading activity over the first two days of trading as over 41.5 million shares were traded, well over the 32.5 million offered in the IPO. However, the ride-hailing company saw it's shares slump 12% on its second day of trading down to $69.01, below the official IPO price of $72. The downturn comes after the stock rallied to a high of $88.60 on Friday. US equities surged on Monday due to strong manufacturing data as factory activity rose and construction spending hit 9-month high. The Dow was up 330 points, closing above 26,000 for the first time since February, followed by the Nasdaq which rose 1.3%. The S&P 500 mirrored the strong performance and increased by 1.2%. Asian shares have lost momentum after Monday's equity rally, Hong Kong's Hang Seng and the MSCI Asia Pacific Index were both flat. The ASX 200 jumped 0.4% whereas the Topix index fell 0.3%. Sterling depreciated 0.3% against the dollar to $1.3070 as MPs rejected all four Brexit proposals yesterday with Ken Clarke's customs union proposal narrowly missing a majority by 3 votes. Mrs May has scheduled a five hour cabinet meeting today to discuss the next steps for Brexit. Oil climbed to fresh 2019 highs due to the possibility of further sanctions on Iran, WTI futures rose 0.5% up to $61.89 per barrel whilst Brent crude also rose 0.5% to $69.33. Gold remained little changed at $1,288.36 per troy ounce. Asian overnight: A significantly calmer session overnight saw Asian markets tentatively gain ground, with the residual effect of weekend Chinese PMI gains continued to have an effect. The big overnight event came in Australia where the RBA decided to keep interest rates steady despite calls to cut amid a weakening housing markets and credit squeeze. Despite the fall in housing price, we saw an incredible 18.1% rise in building approvals for February; the highest since 2012. UK, US and Europe: Last night saw the UK parliament once again reject all options ahead of them, raising the likeliness that Theresa May will try to bring her plan back for yet another try. This morning we see the UK construction PMI released, coming off the back of yesterday’s impressive manufacturing figure. In the afternoon, keep an eye out for the US core durable goods figure. South Africa: Global equity markets look to be catching their breathe today after yesterday's strong gains. US Index futures are marginally lower while Asian indices are marginally higher this morning. The dollar is slightly firmer while precious and base metal prices trade mostly lower. The rand, although off its best levels remains firm after recent news that South Africa has managed to avert a credit rating downgrade (for now). Tencent Holdings is up 0.3% in Asia, suggestive of a similar start for major holding company Naspers. The BHP Group is flat in Australia suggetsive of a modest opening for local diversified resource counters. Economic calendar - key events and forecast (times in GMT) Source: Daily FX Economic Calendar 9.30am – UK construction PMI (March): expected to fall to 49.1 from 49.5. Markets to watch: GBP crosses 10am – eurozone unemployment rate (February): jobless rate to hold at 7.8%. Markets to watch: EUR crosses 1.30pm – US durable goods orders (February): orders expected to fall 1.2% MoM, but rise 0.2% MoM excluding transportation. Markets to watch: US indices, USD crosses Corporate News, Upgrades and Downgrades BHP Billiton said that it was reassessing its full-year output and cost guidance following the impact of Tropical Cyclone Veronica. The cyclone has reduced production by around 6-8 million tonnes. Galliford Try has signed an agreement with Homes England to build more than 850 houses across England. Ryanair said that passenger growth was 9% overall for March, to 10.9 million. The US safety authoritiyes are set to investigate Kia and Hyundai vehicles amid thousands of reports of "non-crash fires", which could see mass vehicle recalls. Boeing is set to apply a software upgrade to its disaster-struck 737 Max aircraft model in the next few weeks after initially informing airlines that the new software would be ready by the end of March. Struggling womenswear brand Bonmarché has been bought out by retail billionaire Philip Day in a deal worth £5.7m. Philip Day's holding company issued the following statement "Against the backdrop of the significant decline in Bonmarché's profitability, Spectre believes it is well positioned to provide advice, guidance and support to secure the long term future of the Bonmarché business, its stores and employees". Anglo American upgraded to buy at Deutsche Bank EasyJet upgraded to hold at Berenberg Vallourec upgraded to buy at SocGen Atos downgraded to sell at Berenberg RELX downgraded to add at AlphaValue Deutsche Post downgraded to neutral at Citi Engie downgraded to sector perform at RB IGTV featured video Information has been prepared by IG, a trading name of IG Markets Limited. In addition to the disclaimer below, the material on this page does not contain a record of our trading prices, or an offer of, or solicitation for, a transaction in any financial instrument. IG accepts no responsibility for any use that may be made of these comments and for any consequences that result. No representation or warranty is given as to the accuracy or completeness of this information. Consequently any person acting on it does so entirely at their own risk. Any research provided does not have regard to the specific investment objectives, financial situation and needs of any specific person who may receive it. It has not been prepared in accordance with legal requirements designed to promote the independence of investment research and as such is considered to be a marketing communication. Although we are not specifically constrained from dealing ahead of our recommendations we do not seek to take advantage of them before they are provided to our clients. See full non-independent research disclaimer and quarterly summary. Shares in Asia fell more than 2% amid growing fears that a recession is on the horizon, Japan's Topix was impacted the most as the index dropped 2.5% at the close. The Hang Seng, ASX 200 and the Shanghai Composite followed and all fell by at least 1%. Numerous reports over the weekend suggested that senior ministers were plotting to oust Theresa May as doing so could enhance support of her Brexit deal, although this has been denied. Mrs May is set to meet cabinet ministers today to update them on her strategy for Brexit. Special Counsel Robert Mueller has concluded that Donald Trump did not collude with Russia during his 2016 Presidential campaign which lead to Trump tweeting "No Collusion, No Obstruction, Complete and Total Exoneration". Although, the summary by the Attorney General William Barr contradicts Trump's tweet as the findings were "inconclusive". Brent crude plummeted 0.7% from its previous close down to $66.56 per barrel whilst WTI futures slipped 0.9% to $58.52 due to the yield curve inverting, which can be seen as a strong signal that a recession is looming. Gold saw a 0.2% rise to $1,316.51. South Africa: Global equity markets are are trading lower this morning as fears of a global economic slowdown reemerge. US Index Futures are continuing Friday's decline and Asian Indices trade 1.5% to 2% lower on the day. The rand now trades back at its worst levels of the last few weeks. Gold is trading modestly higher, copper is significantly lower and Brent crude has given up around 0.5%. Tencent Holdings is down 3% in Asia, suggestive of a similar start for major holding company Naspers. BHP Group is down 1.3% in Australia, suggestive of a soft start for local resource counters. Economic calendar - key events and forecast (times in GMT) Source: Daily FX Economic Calendar Corporate News, Upgrades and Downgrades British satellite operator Inmarsat has been sold for $3.4bn to a private equity consortium. Uber is set to acquire Careem, a Dubai based rival taxi company, for a reported $3.1bn. Majestic Wine is closing down its stores and will re-brand themselves as Naked Wine, CEO Rowan Gormley explained "Naked Wines has the potential for strong sustainable growth, and we will deliver the best results for our shareholders". IGTV featured video Information has been prepared by IG, a trading name of IG Markets Limited. In addition to the disclaimer below, the material on this page does not contain a record of our trading prices, or an offer of, or solicitation for, a transaction in any financial instrument. IG accepts no responsibility for any use that may be made of these comments and for any consequences that result. No representation or warranty is given as to the accuracy or completeness of this information. Consequently any person acting on it does so entirely at their own risk. Any research provided does not have regard to the specific investment objectives, financial situation and needs of any specific person who may receive it. It has not been prepared in accordance with legal requirements designed to promote the independence of investment research and as such is considered to be a marketing communication. Although we are not specifically constrained from dealing ahead of our recommendations we do not seek to take advantage of them before they are provided to our clients. See full non-independent research disclaimer and quarterly summary. The EU has indicated that Theresa May needs to get backing from parliament on her Brexit deal before they agree to delay the UK's withdrawal from the EU. The Prime Minister is heading to Brussels today for the European Council meeting to try to force an extension in order to avoid a no-deal scenario. US bank stocks traded lower yesterday after the Fed's announcement that there will be no rate hikes in 2019, Goldman was down 3.4% whilst BoA, J.P. Morgan Chase, Citigroup and Morgan Stanley all fell by 2% or more. In turn, both Dow and S&P traded lower whilst the Nasdaq edged 0.1% higher than its previous close. The Dollar was down against most major pairs due to the announcement, Bloomberg's Dollar Spot Index fell 0.5% to a six-week low. Asian equities closed higher, the MSCI Asia-ex Japan Index was up 0.45% whilst the Shanghai composite was up 0.72%. Gold traded 0.4% higher yesterday to $1,318.05 per troy ounce. Asian overnight: It was a mixed session in Asia, with falls in Australia offset by small rises in South Korea and Hong Kong, while Japan is closed for a public holiday. A dovish Fed provided an initial boost for US markets, but it was not enough to sustain the rally, and equities lost ground. It is expected that Steve Mnuchin and Robert Lighthizer will travel to China next week for further trade talks, but a lack of progress in these talks is beginning to weigh on markets. UK, US and Europe: After dovish turns from the ECB and the Fed, all eyes will be on the Bank of England, while a European Council meeting may discuss the UK’s request to extend Article 50. In addition we have UK retail sales, a Philly Fed reading and eurozone consumer confidence. Looking at Brexit, news broke yesterday that Macron will veto any delay to the Brexit process to avoid any further uncertainty, according to a French media report. If this is true, it puts the UK on the brink of a no-deal Brexit as Theresa May heads to Brussels today in a bid to desperately avoid this scenario. High profile Brexiteer Jacob Rees-Mogg was delighted to hear this news as he tweeted "If true, then Vive la France". Economic calendar - key events and forecast (times in GMT) Source: Daily FX Economic Calendar 9.30am – UK retail sales (February): sales to rise 0.2% MoM and 3.4% YoY. Markets to watch: GBP crosses 12pm – BoE meeting:policy expected to be left unchanged, but Brexit likely to dominate the discussion. Markets to watch: GBP crosses 12.30pm – US Philadelphia Fed index (March): expected to rise to 3.2 from -4.1. Markets to watch: USD crosses 3pm – eurozone consumer confidence (March):confidence to fall to -10.8 from -7.4. Markets to watch: EUR crosses 11.30pm – Japan CPI (February):CPI to be 0.4% YoY and core CPI to hold at0 .8% YoY. Markets to watch: JPY crosses Corporate News, Upgrades and Downgrades Halma said that it expected annual adjusted pre-tax profits to meet markets forecasts thanks to strong growth in its US and UK divisions. Next reported a 2.6% rise in total group sales for 2018, while group profit fell 0.4% to £722.9 million. The retailer said that it saw no effect so far from Brexit, and that a no deal Brexit would lead to reductions in prices if the indicative tariffs are brought in. Ted Baker said that group pre-ta profit for 2018 fell 26.1% to £50.9 million, while sales rose 4.2% to £461 million. Enquest will keep its focus on cutting debt, after earnings in 2018 more than doubled to $716.3 million. Bouygues upgraded to outperform at MainFirst EasyJet upgraded to neutral at MainFirst ING Groep raised to outperform at RBC Ryanair upgraded to outperform at MainFirs Bodycote downgraded to hold at Berenberg Compass downgraded to sell at Goldman Lookers downgraded to neutral at JPMorgan IAG downgraded to neutral at MainFirs IGTV featured video Information has been prepared by IG, a trading name of IG Markets Limited. In addition to the disclaimer below, the material on this page does not contain a record of our trading prices, or an offer of, or solicitation for, a transaction in any financial instrument. IG accepts no responsibility for any use that may be made of these comments and for any consequences that result. No representation or warranty is given as to the accuracy or completeness of this information. Consequently any person acting on it does so entirely at their own risk. Any research provided does not have regard to the specific investment objectives, financial situation and needs of any specific person who may receive it. It has not been prepared in accordance with legal requirements designed to promote the independence of investment research and as such is considered to be a marketing communication. Although we are not specifically constrained from dealing ahead of our recommendations we do not seek to take advantage of them before they are provided to our clients. See full non-independent research disclaimer and quarterly summary. Theresa May has announced that she has secured "legally binding changes" to the withdrawal agreement ahead of the pivotal vote on her deal in the House of Commons this evening. Specifically, the changes mean that the Irish backstop would not "become permanent". The pound soared after the news broke rising to a high of $1.3290 before falling back down to its current level of $1.3208, still up over 2% from Monday's low. Boeing shares have fallen over 5% after the fatal plane crash in Ethiopia, which killed all 157 people on board. Multiple airlines have grounded Boeing's 737 MAX 8 aircraft as the disaster on Sunday was the second in five months involving the new Boeing aircraft. Strong gains within the US technology sector offset the decline in Boeing as the Dow closed 200 points higher. The Nasdaq also rose 2% followed by the S&P which gained 1.45%. Apple has announced an event for the 25th of March where it is widely anticipated that the company will announce a TV streaming and news subscription service to rival Netflix. The event invitation includes the caption "It's show time". Gold added 0.2% to $1,296 per ounce. Asian overnight: A bullish session overnight saw gains from Chinese, Japanese, and Hong Kong shares, with the Australian ASX 200 index trading marginally lower. Much of the positive sentiment came thanks to a strong US session, as the topic of US-China trade talks came back into play. With Chinese state TV reporting that vice-premier Liu He, Robert Lighthizer, and US trade representative and Steven Mnuchin spoke on the phone, there is hope that talks could soon resume. The pound is the currency to watch today... UK, US and Europe: However, it was Brexit that caused the most volatility overnight, with the pound gaining sharply off the back of a seemingly successful last-minute dash to Strasbourg by Theresa May. Legally binding amendments to the withdrawal agreement have raised hopes that her deal could be approved in today’s vote. While the vote is almost certain to be closer than last time, the day will be dominated by commentary across the political spectrum which should highlight what chance it really has. Thus, the pound is the currency to watch today, with UK GDP (monthly), manufacturing production, industrial production, and trade balance data all being released to heighten that focus. Also keep an eye out for US CPI inflation data released later in the day. South Africa: Our local bourse looks set to open firmer this morning following firmer US Index Futures and Asian equity markets. There has been suggestion of progress between the US and China in trade negotiations, and in turn markets grow optimistic of news to come. Markets have also been encouraged by Theresa May having adjusted the terms of a Brexit deal with the EU, which will be voted upon this evening by UK parliament. The dollar trades softer and commodities trade higher this morning. The rand has also managed to claw back some of its recent losses on the short term improved risk appetite. Tencent Holdings is up 1.4% in Asia, suggestive of a positive start for major holding company Naspers. BHP Group is up 1% in Australia, suggestive of a positive start for local resource counters. Economic calendar - key events and forecast (times in GMT) Source: Daily FX Economic Calendar UK Parliament votes on Withdrawal Agreement 9.30am – UK GDP (January): growth to rise 0.1% MoM, while the three-month average holds at 0.2%. Market to watch: GBP crosses 12.30pm – US CPI (February): inflation to be 1.6% YoY and 0.2% MoM, while core falls to 2.15 YoY and holds at 0.2% MoM. Market to watch: USD crosses 11.30pm - Australia Westpac consumer confidence: index expected to fall to 102.5 from 103.8. Market to watch: AUD crosses Corporate News, Upgrades and Downgrades Wood Group has won a ‘multi-million dollar’ construction contract from IR1 group relating to a biofuels facility in Oregon. Sirius Minerals said that it had been approached by a ‘major global financial institution’ with an alternative funding proposal. Other proposals continue to be pursued. Domino’s Pizza reported a 1.1% drop in pre-tax profit for 2018, to £93.4 million, while sales rose 9% to £1.26 billion. Weak growth in its international division hurt performance. Struggling retailer French Connection has said that it has begun"preliminary discussions with several interested parties" regarding the sale of the company. Befimmo upgraded to buy at ING Clarkson upgraded to overweight at JPMorgan Lloyds upgraded to neutral at Goldman P2P Global Investments upgraded to buy at Canaccord Antofagasta downgraded to sector perform at RBC Standard Life Aberdeen cut to underperform at RBC Munich Re downgraded to hold at Bankhaus Lampe Standard Chartered downgraded to reduce at AlphaValu IGTV featured video Information has been prepared by IG, a trading name of IG Markets Limited. In addition to the disclaimer below, the material on this page does not contain a record of our trading prices, or an offer of, or solicitation for, a transaction in any financial instrument. IG accepts no responsibility for any use that may be made of these comments and for any consequences that result. No representation or warranty is given as to the accuracy or completeness of this information. Consequently any person acting on it does so entirely at their own risk. Any research provided does not have regard to the specific investment objectives, financial situation and needs of any specific person who may receive it. It has not been prepared in accordance with legal requirements designed to promote the independence of investment research and as such is considered to be a marketing communication. Although we are not specifically constrained from dealing ahead of our recommendations we do not seek to take advantage of them before they are provided to our clients. See full non-independent research disclaimer and quarterly summary. Reports over the weekend have indicated that the US and China are in the later stages of trade talk discussions in a deal which could see tariffs and sanctions lifted on both sides. Donald Trump tweeted over the weekend asking China to remove all tariffs on agricultural products and that trade talks are "moving along nicely". Asian equity markets reacted positively to the trade talk progress; the Nikkei rose 1%, whilst the Shanghai Composite increased by 2.5% and the Hang Seng jumped 1.2%. Theresa May has announced a £1.6bn fund for pro-Brexit constituencies which would be used to boost economic activity in these areas, although some believe she is doing this purely to "bribe MPs" in voting for her withdrawal agreement. WTI Oil rose 0.3% to $55.96 per barrel due to signs of slowing US production and OPEC continuing their cutbacks. Gold increased by 0.1% to $1295 per ounce. Ted Baker CEO Ray Kelvin has resigned from the company, which he founded in 1988, with immediate effect due to allegations of inappropriate behavior. The news adds to the turbulent couple of weeks for the retailer as the company issued a profit warning last week. Asian overnight: A positive start to the week has seen Asian markets push higher ahead of a crucial week of economic data. Optimism over a potential US-China trade deal continue to add fuel to the fire for bulls, with a mooted summit between Xi Jinping and Donald Trump on 27 March raising the prospect of a final deal. Looking ahead, a somewhat slow start to a busy week sees the UK construction PMI dominate. With the survey falling sharply towards contraction territory (50.6), all eyes will be focused on whether we see a continuation of that weakness seen last month. UK, US and Europe: Mrs May has come under-fire over her new £1.6bn 'Stronger Towns Fund', which she says will create jobs and boost economic activity in pro-Brexit towns. The PM outlined that "communities across the country voted for Brexit as an expression of their desire to see change - that must be a change for the better, with more opportunity and greater control". Although, some people have suggested that this is a "desperate measure to buy votes" in order to push her withdrawal agreement over the line as it has been announced just days before MPs are scheduled to vote on her Brexit deal. South Africa: Global equity markets continue to trade higher on optimism that the US and China could be nearing a trade deal. While the dollar has softened a bit this morning it comes off the back of significant strength on Friday after the US posted better than expected GDP data. Gold trades back below the $1300/oz mark in part due to the stronger dollar and reduced safe haven demand for the precious metal on improving trade relations (with China). The rand is back above the R14/$ mark. Tencent Holdings is up 3.3% in Asia suggestive of a strong start for Naspers. The BHP Group is up 1.2% higher in Australia suggestive of a positive start for local resource counters. Economic calendar - key events and forecast (times in GMT) Source: Daily FX Economic Calendar 9.30am – UK construction PMI (February): forecast to fall to 50.1 from 50.6. Markets to watch: GBP crosses Corporate News, Upgrades and Downgrades Senior has reported a 17% rise in annual profit, with pre-tax profit hitting £61.3 million. Revenue rose 5.7% to £1.08 billion. British American Tobacco said it was ‘extremely disappointed’ that the Quebec court of appeal had not overturned a decision against its Canadian subsidiary. 888 has bought BetBright’s sports betting platform for £15 million. Aviva has announced Maurice Tulloch as its new CEO this morning, Mr. Tulloch has been at the company since 1992 and takes over from Mark Wilson. Ageas upgraded to hold at HSBC Carlsberg upgraded to outperform at RBC Sievi Capital upgraded to accumulate at Inderes Evolution Gaming raised to buy at Kepler Cheuvreux Acciona downgraded to neutral at Citi Centamin downgraded to neutral at CI Capital Heineken downgraded to sector perform at RBC Victrex downgraded to sell at Cit IGTV featured video Information has been prepared by IG, a trading name of IG Markets Limited. In addition to the disclaimer below, the material on this page does not contain a record of our trading prices, or an offer of, or solicitation for, a transaction in any financial instrument. IG accepts no responsibility for any use that may be made of these comments and for any consequences that result. No representation or warranty is given as to the accuracy or completeness of this information. Consequently any person acting on it does so entirely at their own risk. Any research provided does not have regard to the specific investment objectives, financial situation and needs of any specific person who may receive it. It has not been prepared in accordance with legal requirements designed to promote the independence of investment research and as such is considered to be a marketing communication. Although we are not specifically constrained from dealing ahead of our recommendations we do not seek to take advantage of them before they are provided to our clients. See full non-independent research disclaimer and quarterly summary. Marks & Spencer and Ocado have officially confirmed a deal whereby M&S will buy a 50% share of Ocado's retail business in a £750m home delivery deal, a huge transformational step for the iconic retailer. M&S will finance the deal by offering a £600m rights issue to shareholders and cutting dividend payouts by 40%. President Trump and North Korean leader Kim Jong-Un are set to meet today in an attempt to end North Korea's nuclear program in exchange for a relief in sanctions by the US. Ahead of the Trump-Kim meeting stocks in Asia generally increased, the Hang Seng rose 0.48% followed by a 0.44% gain with the Nikkei. The Chinese markets mirrored these gains as the Shanghai composite increased 0.8% and the Shenzhen composite by 0.4%. US Index futures edged lower after the CME Globex markets stopped trading due to a technical issue with the exchange, the Dow dipped by around 29 points followed by small decreases with the S&P and Nasdaq. Theresa May promised MPs a vote to delay Brexit if her withdrawal agreement fails to get through Parliament on the 12th of March. MPs will have the chance to vote on two separate votes, one being to support a no-deal Brexit and the other to extend the deadline beyond the 29th of March. Sterling dipped slightly to $1.3251, down 0.1%, coming of the back of Tuesday's rally. Gold dropped to 0.1% to $1,327.4 per ounce. Asian overnight: The bulls were back in the driving seat overnight, with gains across the board coming in the wake of Fed chair Powell’s reiteration of a ‘patient’ stance. We are also seeing continued optimism surrounding US-China talks, with Trump’s two-day meeting with Kim Jong-Un providing further hopes of regional stabilisation. Meanwhile, the New Zealand trade balance took another negative turn, falling sharply back into deficit after a mere single month of surplus. UK, US and Europe: Looking ahead, an appearance from Bundesbank President Weidmann provides the one point of interest in an otherwise quiet eurozone session. In the UK, Brexit is back on the agenda, with a series of amendments being voted on which could shape the process for leaving the EU. However, with Theresa May already setting out a new sequence of events to allow for a potential extension, these are largely a formality. Also keep an eye out for Canadian CPI, alongside US trade balance, factory orders and crude inventories. Finally, with Jerome Powell returning for a second day of testimony in Washington, watch out for potential dollar volatility. South Africa: Global markets are trading mixed with US index futures modestly lower, while Asian equity markets trade marginally firmer on the day. In turn, our local bourse is expected to open flat to slightly higher this morning. Precious metal prices remain firm (platinum in particular) trading near short term highs, while base metals trade mixed with copper up and iron ore down on the day. The rand has managed to firm against the majors. There is little in the way of high impact data scheduled for release today, although markets will look to the continued testimony of Fed Chairman, Jerome Powell this afternoon for directional guidance. Tencent is down 0.5% in Asia, suggestive of a softer start for major holding company Naspers. The BHP Group is up 0.4% in Australia, suggestive of a positive start for local diversified resource counters. Economic calendar - key events and forecast (times in GMT) Source: Daily FX Economic Calendar 10am – eurozone business confidence (February): forecast to rise to 0.75 from 0.69. Market to watch: EUR crosses 1.30pm – Canada CPI (January): prices expected to rise 1.7% YoY. Market to watch: CAD crosses 3pm – US pending home sales (January): sales expected to fall 1.9% MoM and 11% YoY. Markets to watch: US indices, USD crosses 3.30pm – US EIA crude inventories (w/e 22 February): stockpiles rose by 3.7 million barrels last week. Markets to watch: Brent, WTI Corporate News, Upgrades and Downgrades Marks & Spencer will launch a rights issue and cut its dividend in order to pay for a joint venture with Ocado. M&S will pay Ocado £750 million for its half of the venture, with a £600 million rights issue and a 40% cut to the dividend. Rio Tinto said that net earnings rose 56% to $13.64 billion for 2018, while underlying earnings rose 2% to $8.81 billion. ITV said that 2018 pre-tax profit was up 13% to £567 million, while revenue was up 3% to £3.77 billion. Advertising revenue was weak, but growth in online activities offset this. Taylor Wimpey reported an 18% rise in pre-tax profit, to £810.7 million, for 2018 while the number of completions rose and margins grew. The firm said it had a made a positive start to 2019. Freenet upgraded to hold at Berenberg Total upgraded to outperform at RBC Viscofan upgraded to hold at Santander Air France-KLM cut to equal-weight at Morgan Stanley Metro Bank downgraded to market perform at KBW Tullow downgraded to hold at Jefferies Shell downgraded to sector perform at RB IGTV featured video Information has been prepared by IG, a trading name of IG Markets Limited. In addition to the disclaimer below, the material on this page does not contain a record of our trading prices, or an offer of, or solicitation for, a transaction in any financial instrument. IG accepts no responsibility for any use that may be made of these comments and for any consequences that result. No representation or warranty is given as to the accuracy or completeness of this information. Consequently any person acting on it does so entirely at their own risk. Any research provided does not have regard to the specific investment objectives, financial situation and needs of any specific person who may receive it. It has not been prepared in accordance with legal requirements designed to promote the independence of investment research and as such is considered to be a marketing communication. Although we are not specifically constrained from dealing ahead of our recommendations we do not seek to take advantage of them before they are provided to our clients. See full non-independent research disclaimer and quarterly summary. Despite announcing a loss of 4 cents per share Snap shares soared in after-hours trading as the social media giant beat analysts expectations, the general consensus was that the company would report a net loss of 8 cents per share in Q4. Disney also beat expectations aided by the launch of its streaming service ESPN+ and sales increases in its theme park businesses, earning per share came in at $1.84 vs $1.55 expected. The Dow rose by 172 points, followed by a 0.47% increase in the S&P fueled by gains in the communication services and technology sector. The Nasdaq also saw a gain of 0.7% and closed at 7,402. President Trump announced on Tuesday that he will meet with Kim Jong Un in Vietnam at the end of February. Although progress has been made, the president believes a lot of work still needs to be done. Overall, we saw a largely subdued session in the Asian market due to the Lunar New Year holidays, with the exception of moves in the Australian markets. The Australian dollar fell by almost 1.3% against USD as the Reserve Bank of Australia said that rates could fall if unemployment increases and inflation stays too low. Gold slipped to $1,314.30 per ounce, a 0.1% drop from its previous close. If I had not been elected President of the United States, we would right now, in my opinion, be in a major war with North Korea Asian overnight: A somewhat subdued session overnight saw marginal gains in the ASX 200 and the Nikkei, while the Topix lost ground. Chinese and Hong Kong markets remained closed for the Lunar bank holidays. The Australian dollar was the big mover overnight, after the RBA governor Lowe signaled that the next move could be to cut rates rather than raise them. Meanwhile, Donald Trump’s state of the union address provided little of note for markets, with the President focusing on further promises to build a wall rather than laying out solutions to the impasse in US-China trade negotiations. UK, US and Europe: Trump addressed Congress during his second State of the Union on Tuesday night, announcing that he will meet the North Korean leader between the 27th - 28th of February. The two leaders met last year in Singapore which, according to Trump, was a huge success as he claimed that North Korea's nuclear weapons were no longer a threat to the US. In his address he acknowledge that there is still a lot of progress that needs to be made between the two countries, but claimed that "If I had not been elected President of the United States, we would right now, in my opinion, be in a major war with North Korea". Looking ahead, the early release of German factory orders represents the sum total of a quiet European session. Meanwhile, US trade balance, alongside US crude inventories provide the only major releases to watch out for in the afternoon. South Africa: US Index futures are pointing to a flat start to the day. The Shanghai Composite and Hang Seng Index are closed this morning on account of Lunar Holidays being celebrated within the region. With market moves minimal this morning there appears to be little in the way of scheduled news data to guide markets for the rest of the day. Commodity prices are relatively unchanged this morning and the rand trades at similar levels to where it closed yesterday. The BHP Group is up 1.67% higher in Australia suggestive of a positive start for local miners. Economic calendar - key events and forecast (times in GMT) Source: Daily FX Economic Calendar 1.30pm – US trade balance (November), GDP growth (Q4 preliminary): trade deficit to narrow to $54 billion from $55.5 billion, and GDP expected to grow by 2.6% QoQ, from 3.4%. Markets to watch: US indices, USD crosses 3pm – Canada Ivey PMI (January): previous reading 59.7. Market to watch: CAD crosses 3.30pm – US EIA crude inventories (w/e 1 February): stockpiles rose by 919,000 a week earlier. Markets to watch: Brent, WTI Corporate News, Upgrades and Downgrades Apple has announced its retail chief, Angela Ahrendts, is set to leave the company in April citing "new personal and professional pursuits" as the reasoning behind her move away from the tech giant. Toyota cuts it net income outlook for 2019 due to "changes in US taxation rules" and "losses from equity sales". Severn Trent still expects to report full-year performance in line with forecasts, with its biggest capital spending plan in a decade on track. Redrow said that pre-tax profit rose 5% to £185 million for the first half, while revenue rose 9% to £907 million. The dividend was raised by 11%, to 10p per share, while a cash payment of 30p per share will also be paid. Victrex suffered an 18% fall in first quarter revenue, due to weakness in the automotive and consumer electronics markets. The firm said that it had seen some improvement in January and February. Profits at Daimler, the owner of Mercedes-Benz, decreased by nearly a third last year as earnings came in at €7.6bn down from €10.6bn previously. Interserve has announced this morning that they have reached a deal with creditors to cut its debt by issuing new shares through a rights issue, indicating that it will reduce liabilities by around £325m Alstria Office upgraded to buy at Kempen BP upgraded to buy at DZ Bank National Grid upgraded to outperform at RBC Paddy Power upgraded to hold at HSBC EON downgraded to underperform at Jefferies LVMH downgraded to hold at Jefferies Royal Mail downgraded to sell at SocGen TUI downgraded to hold at HSBC IGTV featured video Information has been prepared by IG, a trading name of IG Markets Limited. In addition to the disclaimer below, the material on this page does not contain a record of our trading prices, or an offer of, or solicitation for, a transaction in any financial instrument. IG accepts no responsibility for any use that may be made of these comments and for any consequences that result. No representation or warranty is given as to the accuracy or completeness of this information. Consequently any person acting on it does so entirely at their own risk. Any research provided does not have regard to the specific investment objectives, financial situation and needs of any specific person who may receive it. It has not been prepared in accordance with legal requirements designed to promote the independence of investment research and as such is considered to be a marketing communication. Although we are not specifically constrained from dealing ahead of our recommendations we do not seek to take advantage of them before they are provided to our clients. See full non-independent research disclaimer and quarterly summary. Coffee giant Starbucks announced that same-stores sales grew by 4% in its home US market, with overall revenue also beating expectations. Speaking about the results, CEO Kevin Johnson said that "Our streamline efforts over the past six quarters are paying off by allowing us to bring more focus and discipline to our three strategic priorities". Talks are continuing in the US as the Senate tries to reach an agreement to end the government shutdown, which is now in its 34th day. The White house is pushing for "large down payments" for Trump's wall, however the Senate has already rejected two proposals as a deal including wall money "is not a reasonable agreement between senators". CEO of Goldman Sachs, David Solomon, has warned that investment into the UK could take a hit due to a hard Brexit as he told the BBC that Goldman has stopped hiring in the UK over the last two years. Westminster is due to vote on the withdrawal agreement from the EU again next week. Asian equities rose due to a rally in the technology sector, despite the continued uncertainty over US-China trade talks. The Hang Seng increased by 1.3%, followed by a 1% rise in both the MSCI Asia Pacific Index and Japan's Topix. Brent crude futures jumped 1.2% to $61.80 followed by WTI crude which rose by 1.3% to $53.82 per barrel, as the US indicates that they may impose sanctions on Venezuela's oil exports due to the continued political turmoil within the country. Gold remained steady at $1,282.08 per ounce. UK, US and Europe: Airbus issued a warning yesterday over Brexit, the company indicated that they may shift future wing-building out of the Britain if the UK end up in a no-deal scenario. As stated above, Goldman Sachs support the view of Airbus both of whom employ a considerable number of people in the UK, with the aerospace group employing around 14,000 people alone. Despite the doom and gloom the pound is up around 1.8% since Monday, due to investors speculating that the UK will likely avoid a hard Brexit. Despite the doom and gloom the pound is up around 1.8% since Monday US markets continue to flounder, having essentially gone nowhere all week, as trade concerns remain at the forefront of investors' minds. One bright spot was the semiconductor index, which rose 5.7%, enjoying its best day since 26 December. Markets are still unable to establish a clear direction, although the lack of any renewed sell-off similar to what we saw in December is helping to calm nerves. The German IFO index is the one event of note today, with the week otherwise set to end on a quiet note. There seems no end in sight to the US government shutdown, with Monday's scheduled barrage of US data unlikely to take place unless a resolution is found over the weekend. South Africa: We expect a positive start to equity markets this morning as US Index Futures trade firmer, led by the Nasdaq, while Asian markets trade firmer led by the tech sector as well. Comments that US President Donald Trump is optimistic about the current trade negotiations have helped lift sentiment in the near term. However the US secretary of Commerce is less optimistic and has commented that US and China remain far away from reaching a trade deal. The US dollar has since weakened against a broad basket of currencies. In turn we see the rand gaining ground to trade at its best levels of the week. Tencent Holdings is up 3.27% in Asia suggestive of a strong start for major holding company Naspers. BHP Group is up 1.3% higher in Australia suggestive of a positive start for local resource counters. Economic calendar - key events and forecast (times in GMT) Source: Daily FX Economic Calendar 9am – German Ifo business climate index (January): expected to rise to 101.5, from 101. Market to watch: EUR crosses Corporate News, Upgrades and Downgrades Vodafone reported a 6.8% drop in revenue for the final three months of 2018, to €11 billion, but annual underlying organic adjusted earnings growth is still expected to be around 3%. AG Barr said that it expected full-year revenue to be up 5% over the year, thanks to strong performance across all brands. Indivior said that a US court had granted a temporary restraining order to prevent rival Alvogen from launching copycat drugs for its opioid addiction treatments. Deutsche Boerse Upgraded to Hold at Bankhaus Lampe Iberdrola Upgraded to Buy at HSBC NCC Upgraded to Buy at Citi AstraZeneca Upgraded to Buy at Shore Capita Swiss Life Downgraded to Neutral at MainFirst Intu Downgraded to Sell at Goldman Adecco Downgraded to Reduce at Oddo Fevertree Drinks Cut to Hold at Jefferie IGTV featured video Information has been prepared by IG, a trading name of IG Markets Limited. In addition to the disclaimer below, the material on this page does not contain a record of our trading prices, or an offer of, or solicitation for, a transaction in any financial instrument. IG accepts no responsibility for any use that may be made of these comments and for any consequences that result. No representation or warranty is given as to the accuracy or completeness of this information. Consequently any person acting on it does so entirely at their own risk. Any research provided does not have regard to the specific investment objectives, financial situation and needs of any specific person who may receive it. It has not been prepared in accordance with legal requirements designed to promote the independence of investment research and as such is considered to be a marketing communication. Although we are not specifically constrained from dealing ahead of our recommendations we do not seek to take advantage of them before they are provided to our clients. See full non-independent research disclaimer and quarterly summary. May Day: Theresa survives but for how long? Theresa May's government holds onto power, winning a no-confidence vote in parliament last night by 325 votes to 306. The Prime Minister has now set out to reach a cross-party solution for Brexit, although this will be extremely difficult as the PM was snubbed by the leader of the opposition last night saying that she is in charge of a "zombie government". Sterling remained steady as the currency traded around the 1.2875 mark against the dollar after, as expected, Mrs May's government won the vote of no-confidence. US equities closed higher on Wednesday after strong quarterly earnings by Bank of America and Goldman. The S&P 500 rose by 0.2% whilst the Dow increased by 140 points, both driven by the financial sector. The Nasdaq followed and increased by 0.15%. Stock markets in Asia were mixed as concerns continue over rising tensions between the US and China. Japan's Topix gained 0.4% at the close, followed by the MSCI Asia Pacific Index which added 0.1%. On the other side of this, the Shanghai Composite and the Hang Seng both slid by 0.1%. Oil slipped 0.5% down to near $52 per barrel as the US reach record output levels, counter-acting the signs of shrinking supply by OPEC+. Gold traded slightly lower at $1,291.65 per ounce. UK, US and Europe: Calls from the opposition and some leading Brexiteers for the Prime Minister to resign seems to have fallen on deaf ears. Last night, Theresa May's government survived a vote of no confidence tabled by Jeremy Corbyn, winning the vote by 325 to 306. It's unclear what is going to happen next in these extraordinary circumstances. Mrs May will seek further concessions from the EU in an attempt to get her 'Plan B' deal through the House of Commons, which the PM must layout to parliament next week. Looking ahead, earnings season continues with Netflix, Morgan Stanley and Taiwan Semiconductor posting results later today. It's unclear what is going to happen next in these extraordinary circumstances... South Africa: Last night saw US markets trading in positive territory led by gains within the banking sector after The Bank Of America reported better than expected earnings. Asian markets and US Index futures are however trading lower this morning tempering the previous days gains somewhat. Last night saw British Prime Minister Theresa May surviving a vote of no confidence in parliament, helping restore some stability in the British Pound. Oil and precious metal prices are trading modestly lower this morning, while base metals are trading positive on the day. Tencent Holdings is up 0.8% in Australia, suggestive of a similar start for major holding company Naspers. BHP Billiton is down 0.2% in Australia suggestive of a slightly weaker start for locally listed diversified resource counters. The South African Reserve Bank (SARB) concludes its monetary policy meeting today where no change in lending rates is the expected outcome. Economic calendar - key events and forecast (times in GMT) Source: Daily FX Economic Calendar Corporate News, Upgrades and Downgrades Primark announce this morning that like-for-like sales fell in the 16 weeks to the 5th of January caused by reduced footfall during November, according to the retailer. Fiserv is set to acquire payment processor First Data in a deal worth $22 billion in one of the largest deals we have seen in the financial technology industry. Bank of America shares soared by 7% yesterday after quarterly profit reached a record level of $7.3 billion. Goldman Sachs also beat expectations yesterday as earnings per share reached $6.05, beating estimates of $4.53, and posting revenue of $8.08 billion for the quarter. In a statement, CEO David Solomon said "We are pleased with our performance for the year, achieving strong top and bottom line results despite a challenging backdrop for our market-making businesses in the second half". Asset manager firm BlackRock profits fell short of expectations as the company's assets under management has fallen 5% over the last 12 months down to $5.98 trillion. IGTV featured video Information has been prepared by IG, a trading name of IG Markets Limited. In addition to the disclaimer below, the material on this page does not contain a record of our trading prices, or an offer of, or solicitation for, a transaction in any financial instrument. IG accepts no responsibility for any use that may be made of these comments and for any consequences that result. No representation or warranty is given as to the accuracy or completeness of this information. Consequently any person acting on it does so entirely at their own risk. Any research provided does not have regard to the specific investment objectives, financial situation and needs of any specific person who may receive it. It has not been prepared in accordance with legal requirements designed to promote the independence of investment research and as such is considered to be a marketing communication. Although we are not specifically constrained from dealing ahead of our recommendations we do not seek to take advantage of them before they are provided to our clients. See full non-independent research disclaimer and quarterly summary. The US government remains in shutdown as Donald Trump addressed the nation yesterday on border security in an attempt to gain support and funding for his wall, claiming that there is a "Humanitarian and National Security crisis" in the US. A positive session for US equities yesterday amid US-China trade discussions optimism, the S&P increased by 0.97% whilst the Nasdaq rose 1.1%. The Dow climbed 250 points, as it registers its first three day positive streak since November last year. Asian shares also rallied due to the trade talks progress, the Shanghai Composite and Japan's Topix both rose by around 1.1%. Adding to this, Australia's ASX index climbed 1% whilst the biggest percentage increase came from Hong Kong's Hang Seng, which gained 2.4%. Oil prices followed the positive results from equities and increased by over 1%, WTI crude breached $50 per barrel for the first time since December whilst Brent was up 1.3%. Sterling and the Euro both appreciated against the Dollar, with the pound up 0.2% to $1.2741 followed by the Euro which is also up 0.2% to $1.1466 Flights at London's Heathrow airport were temporarily grounded yesterday evening as the military were called in after sightings of a drone, this is the second time in two months a drone has halted flights at major UK airports. UK, US and Europe: Investors are becoming more positive on the outlook of the global economy after somewhat recovering from the last years bear market, which was the worst year we have seen for equities since the financial crisis. Trade talks between the US-China are progressing which has caused equities to rally, especially US tech companies. FAANG stocks have experienced huge increases between Christmas Eve through to Tuesday's close with Netflix and Amazon being the biggest gainers, surging by 27% and nearly 37% respectively. 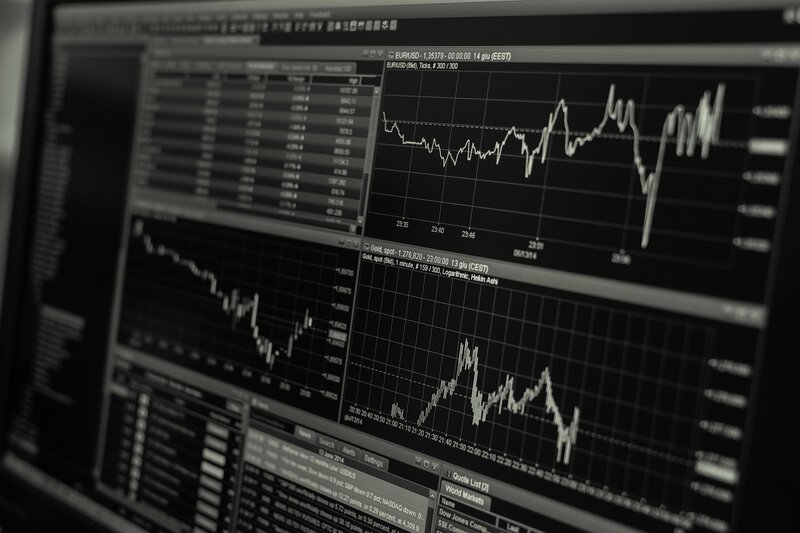 Ryan Nauman, market strategist of Informa Financial Intelligence, has explained that "investors noticed that the FAANG stocks are solid companies and their valuations came down a lot after the big sell-off" and also alluded to the correlation between trade talks and performance of these stocks. Economic calendar - key events and forecast (times in GMT) Source: Daily FX Economic Calendar Corporate News, Upgrades and Downgrades Reports are emerging that Apple is cutting production of its iPhone by 10% between January and March, this comes after the company reduced its revenue projections for 2019. Ted Baker announce that retail sales increased by 12.2% for the five week Christmas period to January the 5th, with online sales leading the way by increasing 18.7%. Saisnbury's posted disappointing Christmas sales this morning as like-for-like performance slipped by 1.1% over the Christmas period, with the retailing indicating its decision to reduce promotional activity has adversely impacted sales. Another retailer to post concerning results this morning is Mothercare, as like-for-like sales fall by 11% for the 13 week period to the 5th of January. IGTV featured video Information has been prepared by IG, a trading name of IG Markets Limited. In addition to the disclaimer below, the material on this page does not contain a record of our trading prices, or an offer of, or solicitation for, a transaction in any financial instrument. IG accepts no responsibility for any use that may be made of these comments and for any consequences that result. No representation or warranty is given as to the accuracy or completeness of this information. Consequently any person acting on it does so entirely at their own risk. Any research provided does not have regard to the specific investment objectives, financial situation and needs of any specific person who may receive it. It has not been prepared in accordance with legal requirements designed to promote the independence of investment research and as such is considered to be a marketing communication. Although we are not specifically constrained from dealing ahead of our recommendations we do not seek to take advantage of them before they are provided to our clients. See full non-independent research disclaimer and quarterly summary. Asian equities began the new year in the red as Chinese manufacturing had a worse December than expectations, PMI dropped to 49.7 from 50.2 in November. Hong Kong's Hang Seng fell by 2.4% and the Shanghai Composite declined by 1.2%, while the ASX 200 dropped by 1.6%. S&P futures mirrored the performance of Asian stocks and fell 0.9%, erasing earlier gains after Donald Trump indicated he may be willing to strike a deal to end the government shutdown in the US. Indian stocks also dropped as fiscal deficit concerns grow due to lower tax collection and a potential farm relief package proposed by Prime Minister Narendra Modi, whom is seeking re-election this year. The NSE Nifty 50 declined by 0.3%. The yen reached a six month high at 109.36 per dollar, rising 0.3%. The Aussie dollar fell 0.5%, whilst the Euro and pound were both down around 0.15% each. Investors 'safe haven' gold rose 0.3% to $1,286.04 per ounce. WTI crude slipped to $44.97 per barrel, falling around 1%, whilst Brent crude futures were down 1.4% to $53.05. Investors started the year concerned about the global economy coming off the back of the worst year for equities we have seen since the global financial crisis Asian overnight: Investors started the year concerned about the global economy coming off the back of the worst year for equities we have seen since the global financial crisis in 2008. China's manufacturing contracted for the first time in 19 months in December as a result of continued trade tensions between the US. Results from the Purchasing Managers' index (PMI), dropped to 49.7 in December, a reading below 50 generally indicates a contraction in manufacturing activity. The director of macroeconomic analysis at CEBM group explained that the results "showed external demand remained subdued due to the trade frictions between China and the U.S., while domestic demand weakened more notably". UK, US and Europe: An annual survey conduced by the Financial Times has shown that economists are shying away from making forecasts regarding the outlook for the UK economy this year. Results highlighted that the majority of the economists that took part in the survey did not give a firm prediction for UK GDP for 2019, amid concerns over uncertainty around Brexit and global trade tensions. Looking ahead, we have a busy day ahead for data releases with PMI numbers due in the morning for the UK, Italy, France, Germany and Eurozone, the times of the releases can be seen below. Economic calendar - key events and forecast (times in GMT) Source: Daily FX Economic Calendar Corporate News, Upgrades and Downgrades Deutsche Telekom has filed a lawsuit over a 5G auction against the German government, highlighting issues with a set of preconditions for participating in the auction. China National Tobacco Corp, the biggest cigarette maker in the world, has announced plans to IPO it's international business unit on the Hong Kong stock exchange. According to the Times, Iceland is facing a £21m bill for breaching minimum wage rules as staff voluntarily had sums taken from their wages which was then paid into a savings scheme, meaning pay had fallen below the national minimum wage. Playtech, a gambling software company, will pay £25.2m in a tax settlement with Israeli authorities following an audit of its financial accounts. IGTV featured video Information has been prepared by IG, a trading name of IG Markets Limited. In addition to the disclaimer below, the material on this page does not contain a record of our trading prices, or an offer of, or solicitation for, a transaction in any financial instrument. IG accepts no responsibility for any use that may be made of these comments and for any consequences that result. No representation or warranty is given as to the accuracy or completeness of this information. Consequently any person acting on it does so entirely at their own risk. Any research provided does not have regard to the specific investment objectives, financial situation and needs of any specific person who may receive it. It has not been prepared in accordance with legal requirements designed to promote the independence of investment research and as such is considered to be a marketing communication. Although we are not specifically constrained from dealing ahead of our recommendations we do not seek to take advantage of them before they are provided to our clients. See full non-independent research disclaimer and quarterly summary. US equities rallied late on Thursday to close higher in a wild session which saw the Dow finishing 1.1% up, after initially falling over 500 points earlier in the day. The S&P and Nasdaq also fell 2.8% and 3.3% respectively, but both ended in positive territory after the late surge. Donald Trump is said to be considering an executive order which will ban US firms from using equipment built by Chinese companies ZTE and Huawei, according to a Reuters report. Overall, European markets fell in their first trading session post-Christmas. The Dax saw a slide of 2.8%, while the FTSE fell as the day continued ending down 1.5%. The Cac followed by falling 1.1%. Japanese 10-year government bond yields fell by three basis points taking it down to negative 0.004%. Gold rose 0.5% to $1,281.40 an ounce, which is its highest level in over six months. Crude oil also increased yesterday, the price increased to $45.75 a barrel - a 2.5% rise. UK, US and Europe: Thursday's roller coaster session comes after the historic rally on Wall Street on Wednesday, as the Dow surged over 1,000 points marking its biggest daily point gain. The early sell-off in yesterdays session was sparked by renewed trade tensions between US-China and weak US consumer confidence data for December. Dave Campbell, principal at BOS explained that "The uncertainty will continue to weigh on the market," and "I think that's going to help drive the volatility as we roll forward because I don't think it's going to be a clean path to an agreement or some kind of resolution." Large end of year FX swap rates: Please be aware that due to year end market factors we are seeing significant moves in the funding rates for most FX pairs. This has been observed across the market, although some pairs are looking to be worse affected than others (most notably if you are short US dollars). These factors include financial institutions balancing their books before the end of the year, putting a strain on certain currencies: Read more here Economic calendar - key events and forecast (times in GMT) [ Source: Daily FX Economic Calendar Corporate News, Upgrades and Downgrades The Defence Secretary has highlighted is "very deep concerns" regarding Huawei's involvement in the UK's mobile network upgrade. Cannabis retailer Green Growth Brands Ltd. plans to launch a hostile takeover bid for Aphria Inc. (APHA), which values the marijuana producer at nearly $2.1 billion. CentryLink, which provides telecommunication services to customers across 37 states, had significant internet and phone outages nationwide yesterday leaving its customers being unable to use their services. IGTV featured video Information has been prepared by IG, a trading name of IG Markets Limited. In addition to the disclaimer below, the material on this page does not contain a record of our trading prices, or an offer of, or solicitation for, a transaction in any financial instrument. IG accepts no responsibility for any use that may be made of these comments and for any consequences that result. No representation or warranty is given as to the accuracy or completeness of this information. Consequently any person acting on it does so entirely at their own risk. Any research provided does not have regard to the specific investment objectives, financial situation and needs of any specific person who may receive it. It has not been prepared in accordance with legal requirements designed to promote the independence of investment research and as such is considered to be a marketing communication. Although we are not specifically constrained from dealing ahead of our recommendations we do not seek to take advantage of them before they are provided to our clients. See full non-independent research disclaimer and quarterly summary.